Talpona is a serene and peaceful beach located on the banks of the beautiful Arabian Sea in Goa in Goa. 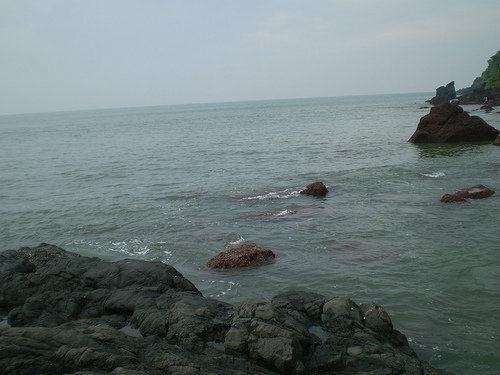 The Talpona beach is a remote beach located in the Cancona taluka of South Goa. It is suitable for those seeking complete isolation and is quite a peaceful beach. At the Talpona beach one can see some fir trees and sand dunes. A birdwatcher’s paradise as the nearby Talpona river is the resting ground for numerous birds. Can be visited by private yacht. This gives the beach a special and unique charm of its own. If you are on the Talpona beach then you can enjoy its mesmerizing views along with fishing activities. Apart from enjoying the activities on the Talpona beach one can also visit some of the interesting shacks here. The shacks on Talpona beach are known for scrumptious fresh sea food also unique handicraft items. This beach is peaceful and calm. One can spend some of quality time here and enjoy the insoiled atmosphere on the small stretch of white virgin sands and clear blue waters. Talpona beach would be a good choice while honeymoon touring in Goa.